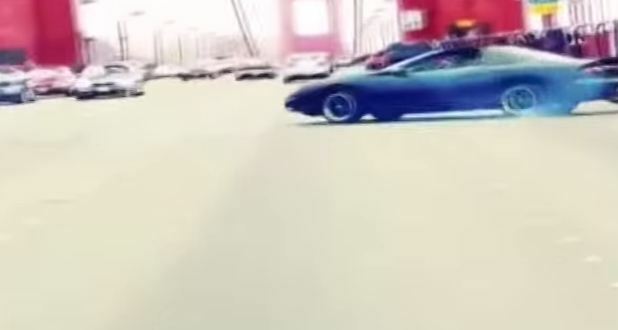 Camera catches Camaro doing doughnuts on the Golden Gate Bridge. Most everybody likes doughnuts—the edible kind and the car kind. To put it simply, they have a knack for cheering people up. Perhaps that was what one driver had in mind when doing doughnuts on the Golden Gate Bridge in a Camaro, as it is one of the world’s top suicide spots. 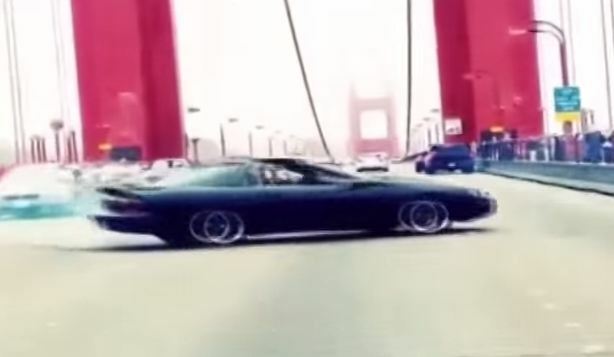 Though the stunt was actually incredibly dangerous (and thus infuriating), it’s hard not to watch a Camaro doing doughnuts on the Golden Gate Bridge and not crack a smile. See, you’re smiling. But in all actuality, the doughnut stunt was irresponsible and put people at risk for no reason at all. Police were contacted about the display, but by the time law enforcement arrived, the Camaro had pulled off another trick—a disappearing act. The driver was careful to avoid all of the bridge’s cameras, but he or she made one fatal mistake: the driver did not account for social media, where police discovered the video above. No arrests have been made, but it’s likely that police will determine whodunit. 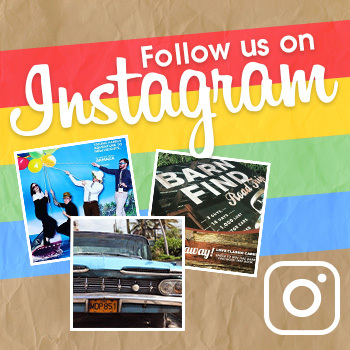 Or, should we say, whodoughnut?